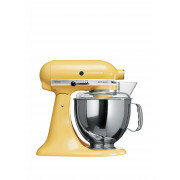 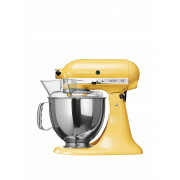 Get it all mixed up with this KitchenAid Artisan Tilt Head Stand Mixer in Majestic Yellow which will not only give you that extra helping hand but also add a pop of colour and character to your kitchen. 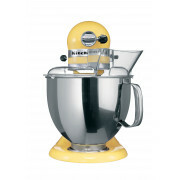 This mixer has a single hub attachment with a tilt head and built in a durable material Die Cast Zinc with a stainless steel mixing bowl with a capacity of 4.8L. 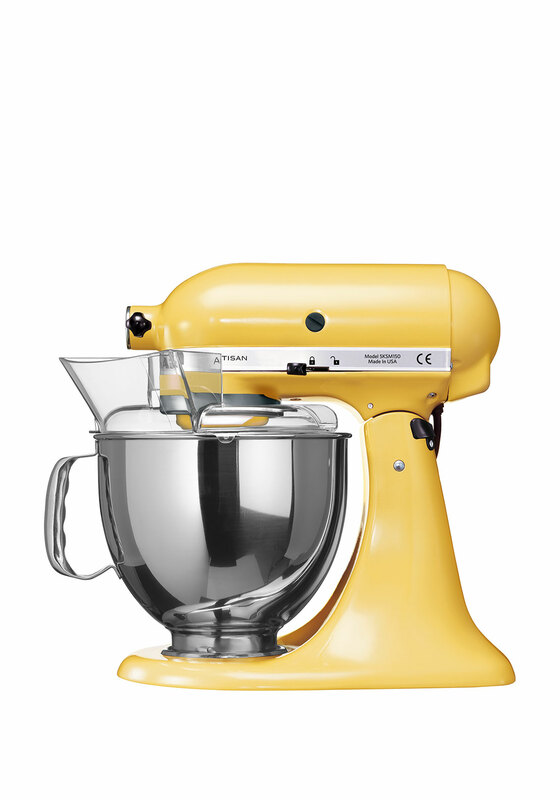 This machine has a wire whisk, dough hook, flat beater and pouring shield all as standard accessories.